Just a Little Ink: Sometimes you just need a little MOJO! Ever need a little creative MOJO? I seem to need it all the time. Thankfully, there are some great sketches on the web and one of the ones I go to regularly is Mojo Monday. 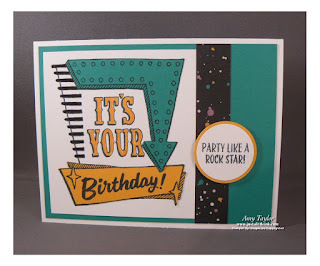 This week, I needed some MOJO to create a swap card for one of the groups I'm a part of and the Monday Mojo blog came to the rescue once again. 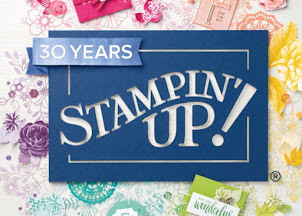 The stamp set used, Marquee Messages, is the one given out at the On Stage event in April to attendees. I bet you can't wait to order your set on June 1st, huh? 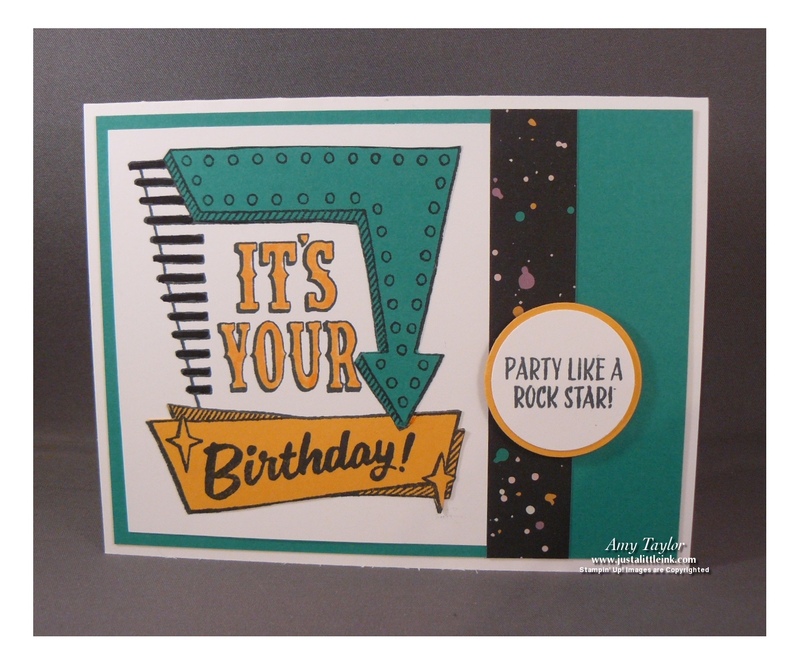 I fussy cut a couple of the elements and glued them onto the stamped image. The designer series paper is another of the new products coming in the new catalog. It's called Playful Pallette. Love your modern design! It would be perfect for a masculine recipient. Thanks for joining us at Mojo Monday!